Puppies and Kittens should be vaccinated at 8, 12 and 16 weeks. 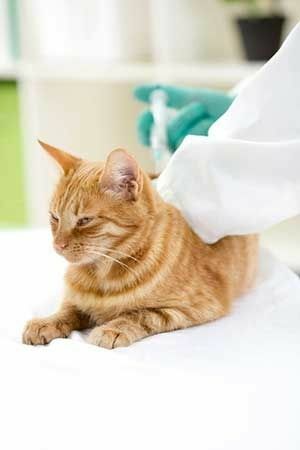 Your cat or dog must be vaccinated for rabies as soon as it is 3 months old and must be kept up-to-date for their entire life. After your pet is vaccinated the first time, they must receive a booster shot within 1 year of the date they were vaccinated. After that, your pet must be vaccinated for rabies every 3 years to stay protected. Rabies vaccines used in Canada protect pets from all strains of rabies in North America. You could be fined if your pet isn’t vaccinated for rabies. Even indoor cats need to be vaccinated.